He thinks, when " working parents take time to be with their newborns, outcomes are better for the children and families." Do you agree? 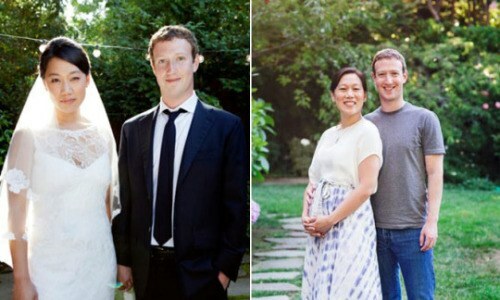 Besides spending time with his wife Priscilla Chan picking out their favourite childhood books and toys for their baby girl once she is born, Facebook’s boss is certainly preparing well for fatherhood in other ways too. On Friday 20 November, Zuckerberg made an important announcement on Facebook — that he’s planning to take two months of paternity leave once his daughter is born. In July this year, Zuckerberg announced (via his Facebook page, of course!) that he was expecting a baby girl with his wife, Priscilla. Facebook lets its US employees take up to four months of paid parental leave (maternal or paternal), which they can take at once, or spread throughout their child’s first year. The company is in the league of other super parent-friendly companies such as Microsoft, which recently introduced 18 weeks of paid maternity leave (up from 12 weeks), and Netflix, which lets mums stay with their babies for up to one year. Other companies such as Apple are offering women the chance to freeze their eggs, according to Fortune, as a perk of the job. However, Zuckerberg’s decision stands in contrast to that of Yahoo! CEO Marissa Mayer. She took only two weeks off after her first child was born in 2012, and soon afterannouncing that she was pregnant with twin girls in September, said she would be taking limited maternity leave and also working throughout. If you have any thoughts about this article, please share in the Comment box below.